When Steven and I wrote MySQL Stored Procedure programming our biggest reservation about the new stored procedure language was the lack of support for proper error handling. The lack of the SIGNAL and RESIGNAL clauses prevented a programmer from raising an error that could be propagated throughout a call stack properly, and the lack of a general purpose exception handler which could examine error codes at run time led to awkward exception handling code at best, and poorly implemented error handling at worst. In 5.4 MySQL implemented the SIGNAL and RESIGNAL clauses (see http://guyharrison.squarespace.com/blog/2009/7/13/signal-and-resignal-in-mysql-54-and-60.html), which corrected half of the problem. Now finally, MySQL 5.6 implements the ANSI GET DIAGNOSTICS clause and we can write a general catch-all exception handler. The exception handler is on lines 10-27. It catches any SQL exception, then uses the GET DIAGNOSTICS clause to fetch the SQLstate, MySQL error code and messages to local variables. We then decide what to do for anticipated errors – duplicate or badly formed product codes and SIGNAL a more more meaningful application error. Unexpected errors are RESIGNALed on line 24. This is a great step forward for MySQL stored procedures – the lack of a means to programmatically examine error codes made proper error handling difficult or impossible. This is a major step forward in maturity. Thanks to Ernst Bonat of www.evisualwww.com for helping me work through the usage of GET DIAGNOSTICS. One of the most glaring omissions in the MySQL Stored procedure implementation was the lack of the ANSI standard SIGNAL and RESIGNAL clauses. These allow a stored procedure to conditionally return an error to the calling program. Clumsy in the extreme, but this was about the best one could do in MySQL 5.0 and 5.1. At last, relief is in sight: MySQL 5.4 and 6.0 have implemented the SIGNAL and RESIGNAL clauses. SIGNAL and RESIGNAL are available in the latest drop of 6.0 (6.0.11) and - I believe - in 5.4.4. The SIGNAL clause is documented here; the RESIGNAL clause is documented in the same chapter. The examples below are from 6.0.11, but I believe the behavior in 5.4.4 is the same. SIGNAL and RESIGNAL make a huge difference to the usability and reliability of Stored procedures. In fact, I beleive that MySQL should never have released a stored procedure implementation without them. Oh well, better late than never. However, stored procedures are still missing a mechanism for catching the SQLCODE or SQLSTATE within the stored procedure code. THis means that in a general purpose error handler, you can't know what the error was. Instead, you have to code an error handler for every possible condition. As Roland Bourman has shown, this has a measurable performance impact and also leads to verbose and messy code. The correct implementation is to implement something along the lines of the ANSI GET DIAGNOSTICS command, and this is a low (!) priority enhancement probably not going to be seen before MySQL 7.0. That's a drag. It can be tricky to optimize queries using views, since it's often hard to know exactly how the query will be resovled - will MySQL push merge the text of the query and the view, or will it use a temporary table containing the views result set and then apply the query clauses to that? In general, MySQL merges query text except when the view definition includes a GROUP BY or UNION. But to be sure we can use EXPLAIN EXTENDED. This also helps when we get confusing output in the EXPLAIN output. 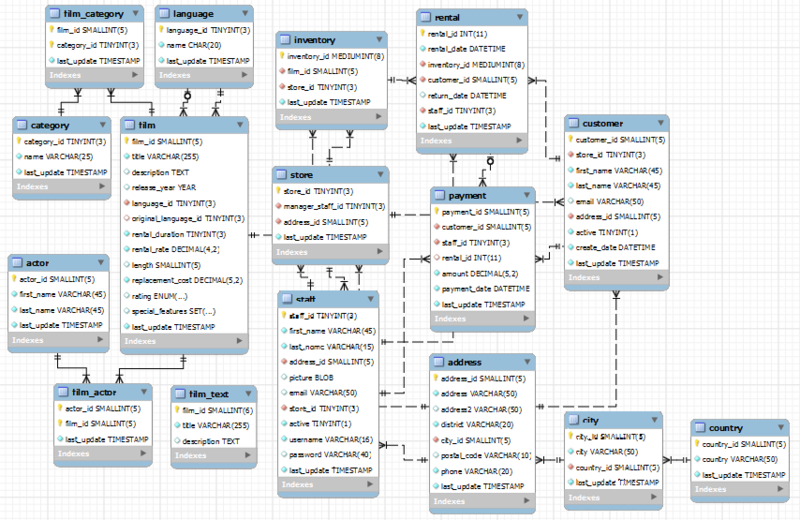 And from this we can see that MySQL did indeed merge the WHERE clauses of both the query and the view definition. EXPLAIN EXTENDED is an invaluable tool for tuning SQL statements, and even more so when working with views. Ruby's getting an incredible amount of attention recently, largely as the result of Ruby on Rails. I've played a little with Ruby on Rails and it certainly is the easiest way I've seen so far to develop web interfaces to a back-end database. At the same time, I've been shifting from perl to Java as my language of choice for any serious database utility development. But I still feel the need for something dynamic and hyper-productive when I'm writing something one-off or for my own use. I've been playing with Python, but if Ruby has the upper ground as a web platform then maybe I should try Ruby. So seeing as how I've just finished the MySQL stored procedure book, first thing is to see if I can use Ruby for MySQL stored procedures. Database - and MySQL - support for Ruby is kind of all over the place. There's a DBI option (similar to perl) which provides a consistent interface and there's also native drivers. For MySQL there are pure-ruby native drivers and drivers written in C. Since the DBI is based on the native driver, I thought I'd try the native driver first. The pure-ruby driver gave me some problems so I started with the C driver on Linux (RHAS4). The main trick with stored procedures is that they might return multiple result sets. OUT or INOUT parameters can be an issue too, but you can always work around that using session variables. Whew! No need to hack into the C code. So you can use MySQL stored procedures in Ruby with the existing native C driver. The problem is that the C driver is not yet available as a binary on Windows yet and trying to compile it turns out to be beyond my old brain (and yes, I used minGW and all the other "right" things). Hopefully a copy of the MySQL binary driver it will be available in the one-click installer Ruby installer eventually. The above code doesn't work using the pure-Ruby driver on windows by the way - there's an "out of sequence" error when trying to execute the stored proc. I might hack around on that later (at the moment I'm 35,000 ft with 15 minutes of battery left on the way to the MySQL UC). For now if you want to use MySQL stored procedures in a ruby program on windows I can't help. Note that ruby seems to hit a bug that causes MySQL to go away if there are two calls to the same stored proc in the same session and the stored proc is created using server-side prepared statements. Fixed soon hopefully, but for now if you get a "MySQL server has gone away error" you might be hitting the same problem. Wez posted on this problem here. I suppose the end of this investigation will probably be to see if there's any way to use stored procedure calls to maintain a Rails AcitveRecord object. Not that I think you'd necessarily want to, but it would probably be a good learning exercise.